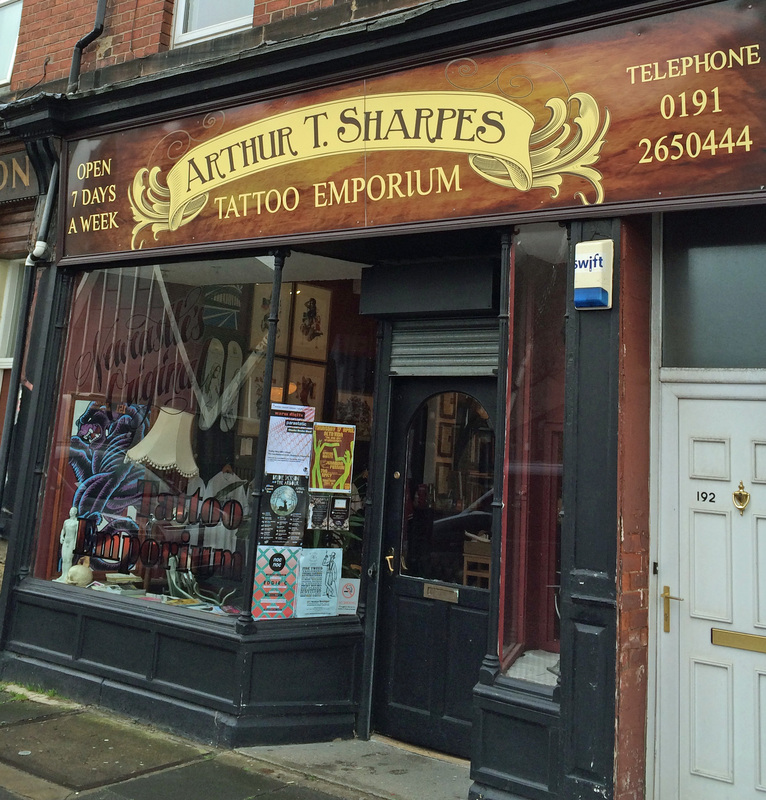 The latest ‘ghost’ sign to appear on Heaton Road is at number 188. 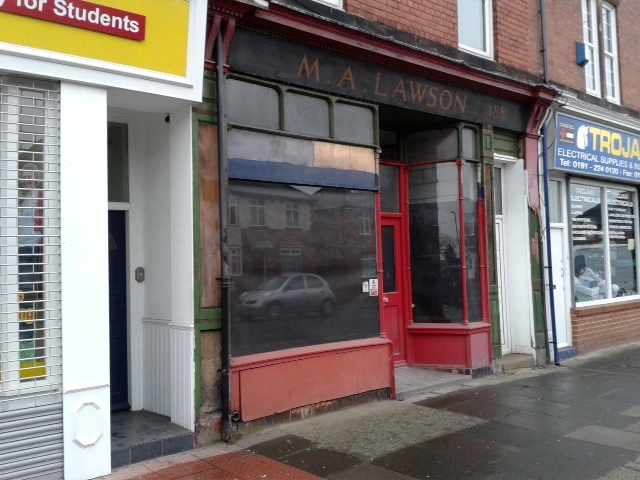 Developers renovating the former Index stationer’s have uncovered a sign, saying ‘M A Lawson’. So who was Mr or Mrs Lawson? When did he or she run the business? And what sort of shop was it? The block between King John Street and King John Terrace, which includes 188, was built around 1900 and the first occupant listed in the trade directories was Mrs Margaret Snowdon. The 1901 census tells us that she was a 52 year old widow, originally from Humshaugh in Northumberland. She had 4 children and her sister living with her and was running a boarding house at home. Also listed in the census at the address were William and Mary Williamson and Walter and Amelia Webb, described as having two rooms each. Walter and William were both engineers from outside the North East, perhaps working temporarily in the area. In the trade directories, Margaret is listed as the occupant until around the end of the first decade of the twentieth century but by the time of 1911 census, she and her family were living just around the corner at 6 Mundella Terrace. Her now grown up children were all working – an assistant school mistress with Durham County Council, a bank clerk, a water company clerk and, fittingly as we’ll see later, a typist for a civil engineering firm. It wasn’t until 1910 that a retail business seems to have opened at 188. 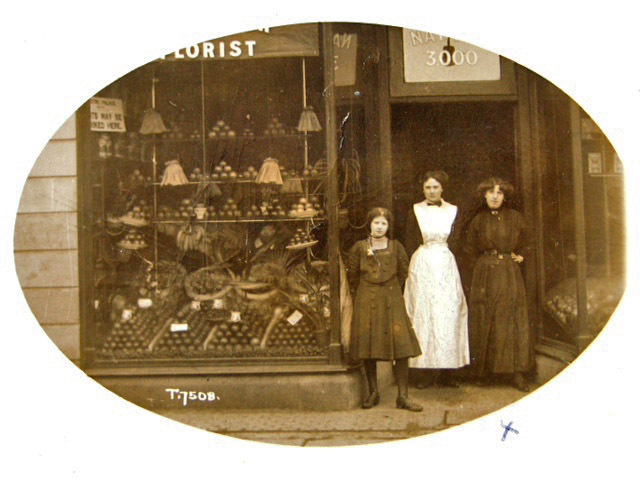 The proprietor was John Duns, a fruit merchant who had been born in Wooler in about 1856. 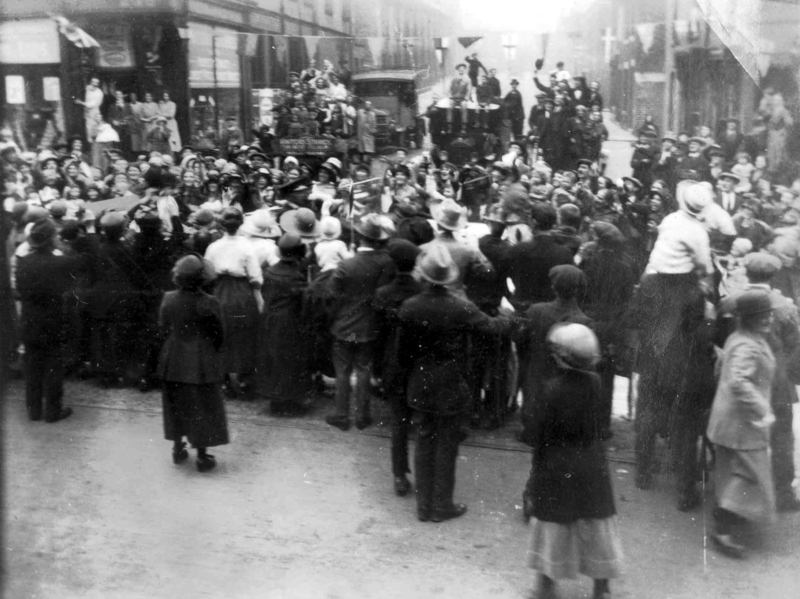 The 1911 census was conducted on 2nd April and on that date he was living above the shop with his wife, Ann, and seven children. However, very shortly afterwards, the family was to set sail for Canada on board SS Southwark. They arrived on 4 May. John was never to return. He died in Vancouver in 1929. By the beginning of World War 1, Margaret Anne (or Annie) Lawson was running the shop, still as a fruiterer’s, a business which remarkably was to last until the late 1950s, not far off 50 years. Almost as remarkably, its signage lives on! 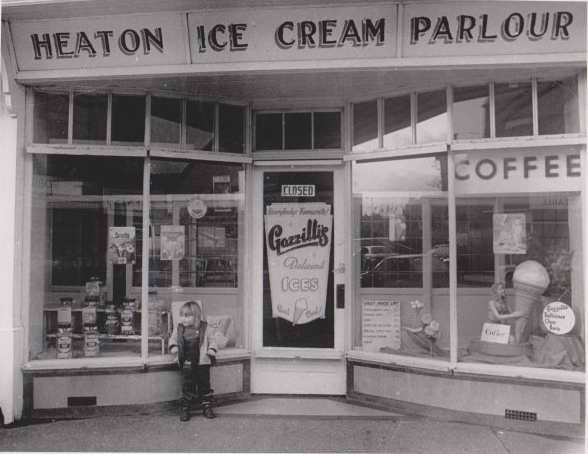 In the late fifties her son, Robson Moffitt Lawson, is listed as the proprietor but he must have taken over well before that as Margaret would have been almost 100 by then had she lived. Margaret was born around 1861 in Wallsend. On 2 April 1911, when the Dun family were at 188, Margaret, described as a widow, was living at 2 Seventh Avenue with four grown up children and an aunt. Two of her children (Joseph and Elizabeth) had gone into teaching, while John and Robson were described as shop assistants. Margaret had been married to Robert, a draper’s assistant from Blaydon, but we haven’t been able to find out when he died or whether they ran a shop together before he did. Perhaps you can help? 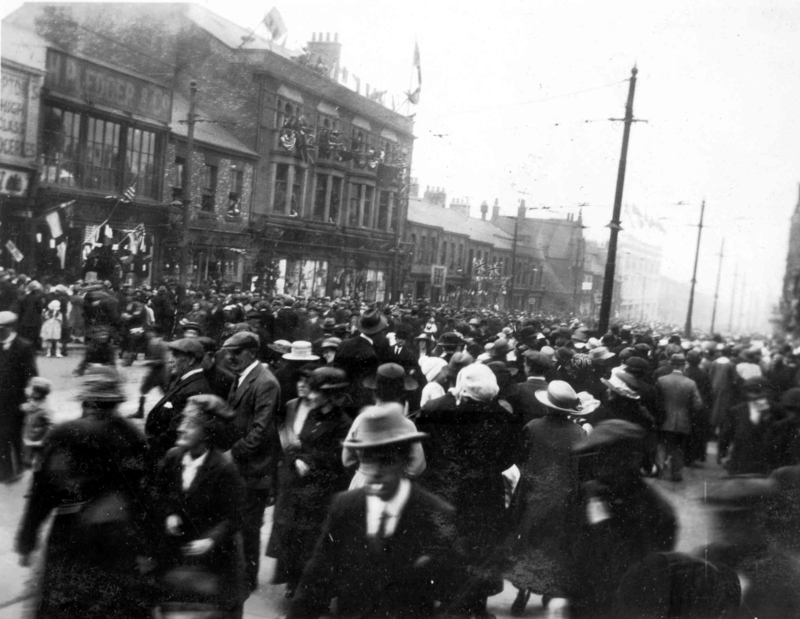 However, our research into the shops of Heaton has shown that shop-keeping was seen as a suitable and respectable way for a widow to earn a living. Keeping a boarding house is, as we have already seen, the other occupation that crops up regularly in this context. It wasn’t until the early 1960s that the business saw another change of use. It became a typewriter dealer’s. The earliest patent for a machine which seems to have been similar to a typewriter was obtained in Britain in 1714 but it wasn’t until 1873 that the term ‘type-writer’ was first used when Remingon in New York started to manufacture the first machine with a QWERTY keyboard. By 1910 design had become standardised and the proto-type electric typewriters were beginning to appear too. In 1919, a business selling and servicing typewriters and other office equipment was established by Paul Bertram Nichols in Pilgrim Street, Newcastle. Its customers were mainly government departments, councils and a number of large companies. Paul had been born in 1888 in Gateshead, one of at least ten children of Susanna and Charles and Susanna Nichols (who was from Portland in Dorset). When the lower part of Pilgrim Street was due for demolition around 1960, he decided to relocate the business to Heaton. 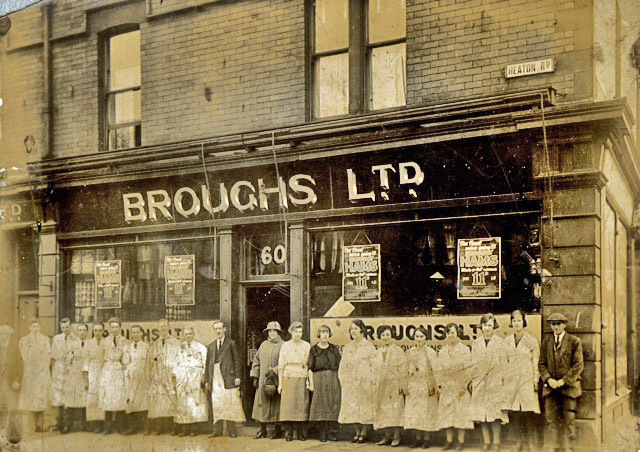 On arrival at Heaton Rd the shop was vacant but it was believed to have been a greengrocer’s beforehand: Mam remembers being on her knees scrubbing the floors and having to contend with a lot of soil residue – left over from the produce. The ‘front shop’ was always more of a ‘attractively laid-out’ stockroom than a thriving retail shop per se. The stock items were mostly to service their commercial customers but maybe a couple of dozen locals or passers-by would call in on an average week and made a small supplement to revenues. In the late 80s, as photocopiers became more modern/accessible they offered phtoocopying services. The rear of the building was used for stock, machine storage and some mechanical work on the typewriters. First floor was toilets, a ‘tank room’ for cleaning stripped typewriters in a carbon tetrachloride spray booth (Health and Safety! ), the main workshop, and dad’s office – which was rarely used as such but doubled as a showroom for the more executive end furniture. The attics were used for storage (chairs, filing cabinets, company records). The cellar was used for storing desking. … Anything German was regarded with what we would now consider to be undeserved animosity. However, being a true mechanically-minded man, my father had always appreciated Adler typewriters for their engineering excellence. He was therefore instrumental in introducing them to the north east and became Adler’s main dealership in Newcastle from as soon as (probably!) you could get away with it and not have a brick thrown through your window! He continued to sell them throughout his tenure. …Sometime in the ’80’s, fierce winds brought down the top section of the chimneys and they fell onto the path on Heaton Rd. Fortunately this was early morning and no one was hurt. You will see that the stack was reduced and there are now no pots. The other architectural point is that, like many of the others in the terrace, the original dormer attic wondows have been replaced with Velux one (this was done well after mam and dad’s involvement with the business ended). …In 1988, due to a series of heart attacks and major heart surgery, dad had to sell the business. It then became (for registered purposes) the Newcastle Typewriter Co but the shop fascia remained as P.B. Nichols so that established goodwill/trade was continued. My mother continued to work during the handover and retired in 90/91. 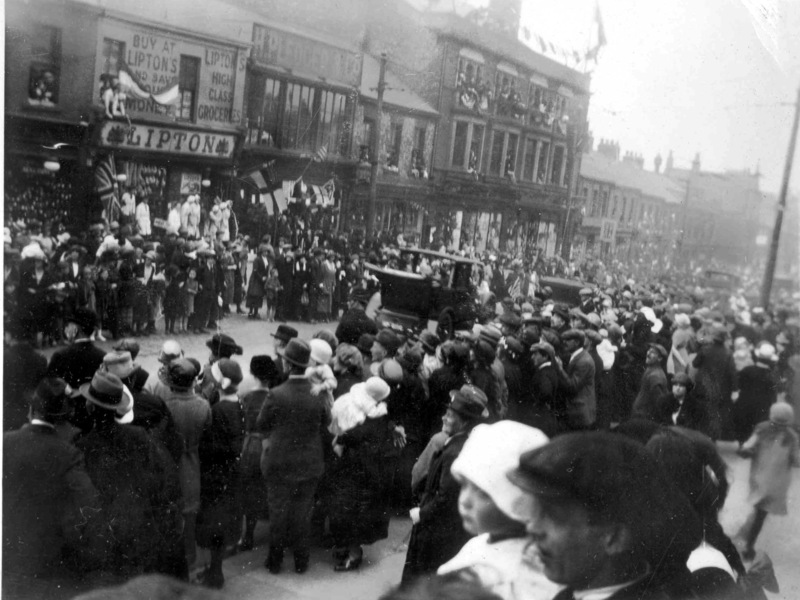 Our research shows that, in the early days, most businesses in Heaton sold food but later there was a trend towards suppliers of services (and, later still, more specifically towards cafes and takeaways, lettings agents and services targeted at the current demographic of Heaton) so 188 is typical in that sense. In 1993 the business was sold again to Index, which, of course, operated until 2013. Index moved with the times, evolving from typewriters and became a more student-orientated business – a stationer’s. And now the shop is undergoing another change of ownership and perhaps of business type but in the process Heaton has rediscovered its past. As usual, we’re looking for your help? 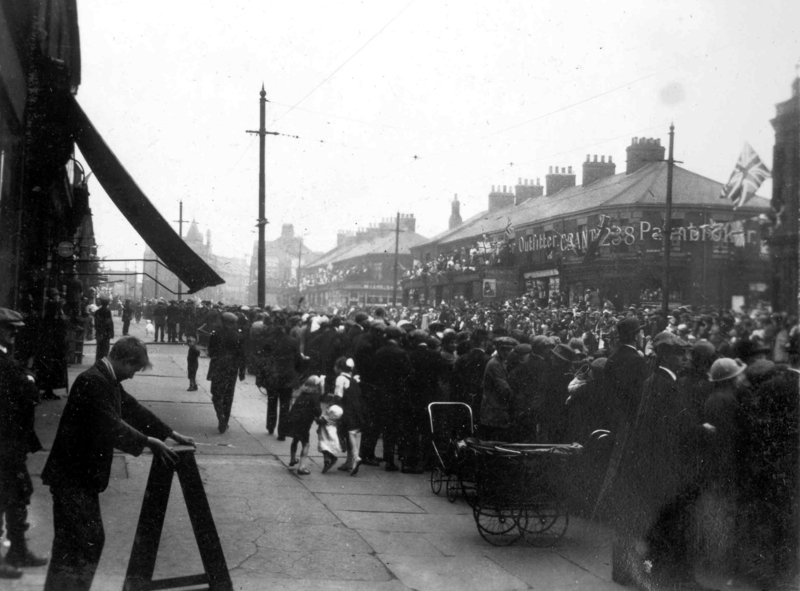 What do you know or remember about 188 Heaton Road and its various occupants? Do you remember the typerwiter dealer’s or Lawson’s fruiterer’s? And what are your memories of Index? Please contact Chris Jackson if you can help. 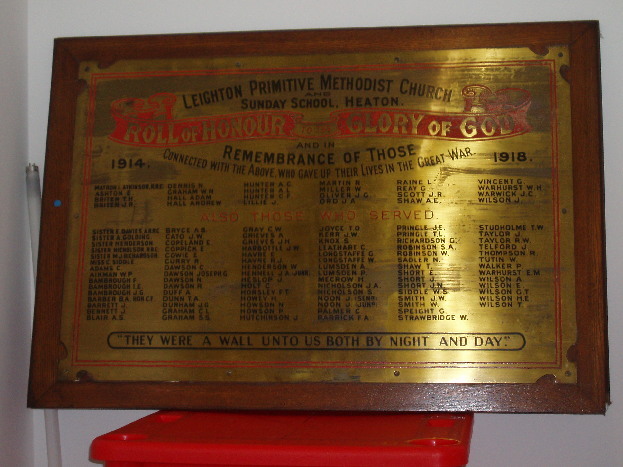 This entry was posted in Research and tagged fruiterer, Heaton Road, Index, John Duns, King John Street, King John Terrace, M A Lawson, Margaret Snowdon, Mundella Terrace, P B Nichols, Ronald Jenkins, Seventh Avenue, shops, stationer, typewriter dealer, WW1 on April 22, 2014 by oldheaton.